Watch A Sister’s All You Need full episodes online English Sub. Other title:Imouto sae Ireba Ii. 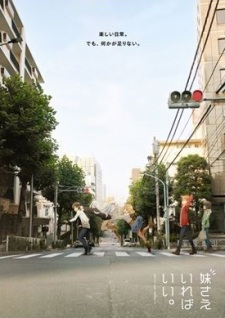 Synopsis: This is the story about the daily life of a young siscon novelist, Itsuki Hashima with his perfect little sister Chihiro, the genius illustrator Nayuta Kani, his best friend Miyako Shirakawa and some insane partners from his publishers. Aired: Oct 8, 2017 to ?